Police continue to search for an Oshawa male who was last seen last Tuesday evening. 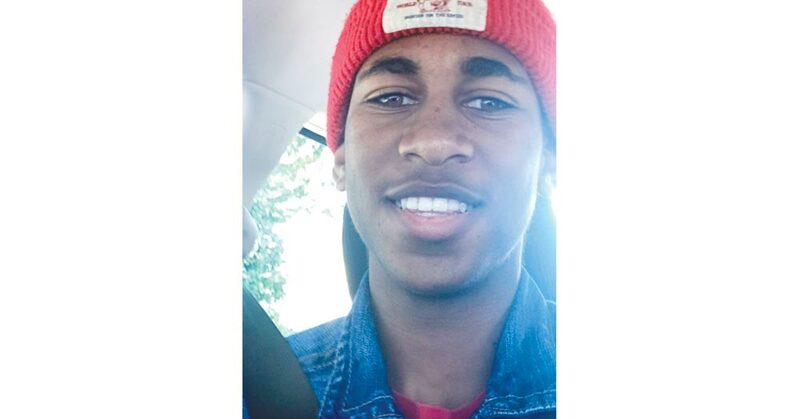 Deshawn Jamar Gibbs, age 18, of Oshawa was last seen at the Fresco plaza near the intersection of Wentworth and Cedar Streets in Oshawa around 10:30 p.m. on Tuesday, Aug. 21. He is described as male, black, 6′, 165 lbs., with an afro and a large tattoo on his inner left forearm with a date and name. He was last seen wearing a black/grey hooded Roots sweatshirt, a black baseball cap, blue jeans, and black Nike flip flops with a red emblem. Anyone with information as to his whereabouts is asked to contact their local police service. In Durham Region, please call the DRPS at 1-888-579-1520.